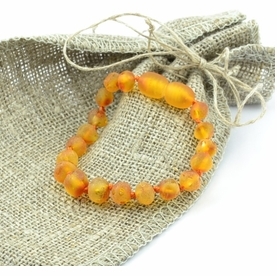 Amber teething bracelet/anklet made of polished free form lemon Baltic amber beads. 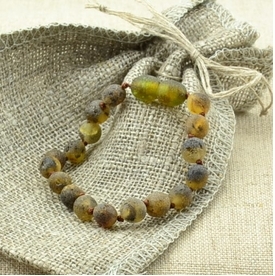 Handmade by amber artists. 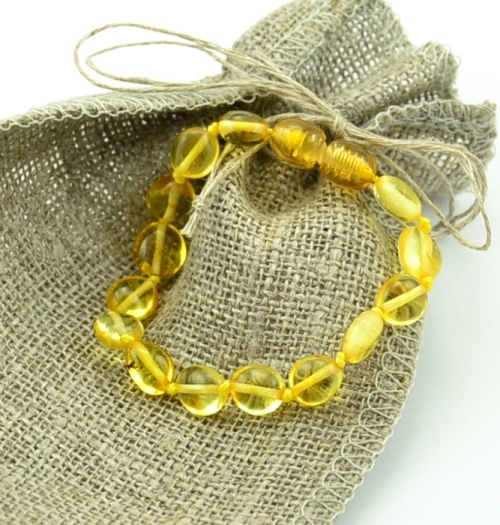 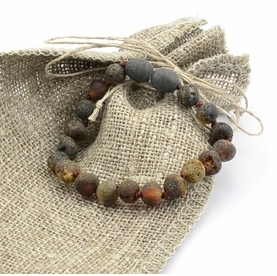 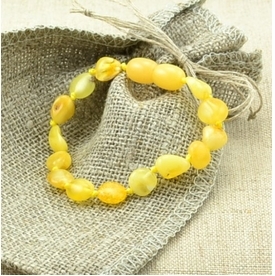 Amber beads are rounded and polished for extra comfort.